It’s one of those rare double FO weeks! For all the complaining about projects that seemed to never end, it really pays off in weeks like this! Add in last week’s vest completion and I’m feeling super accomplished this week! Yay for yarn therapy! Better living through knitting, indeed! 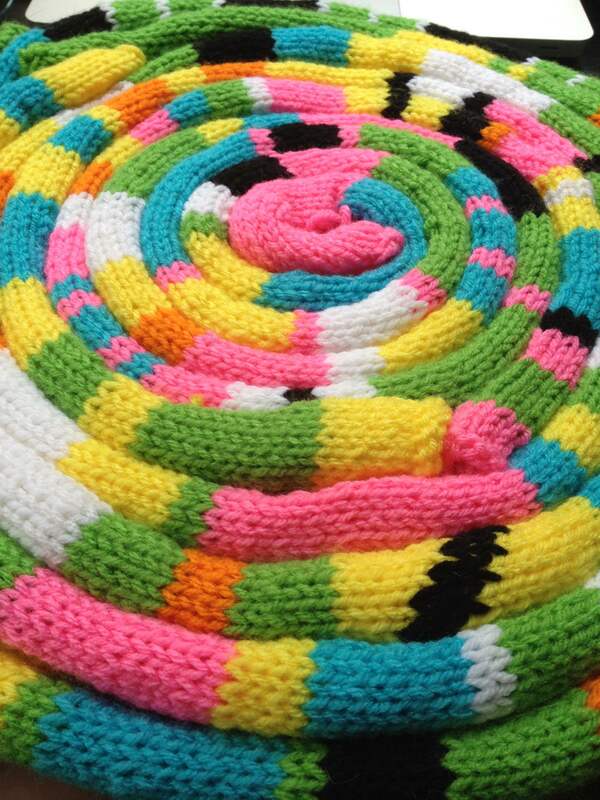 Today’s FO is the yarn bomb project! 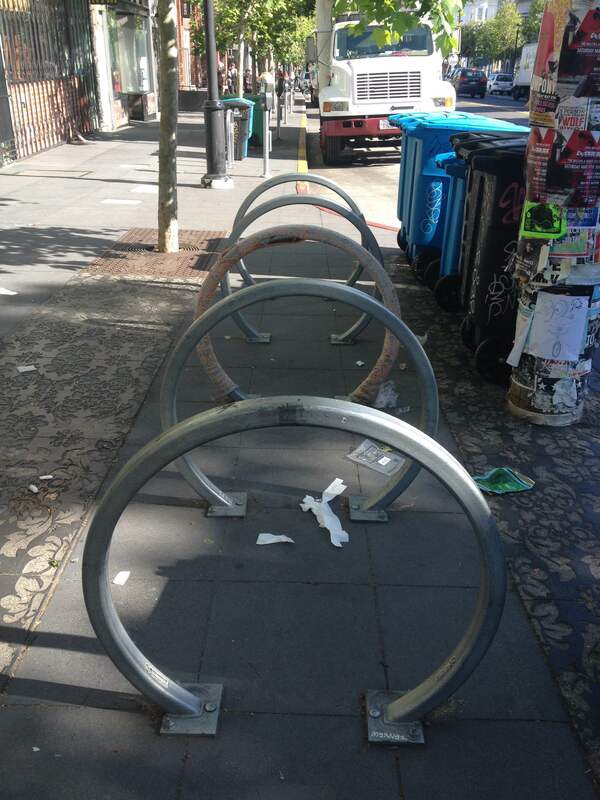 If you want to see it in person, it’s on Valencia St between 18th & 19th, in front of Mission Bicycle! And here’s my 15 minutes of fame, on local blog, Mission Mission! Check it out for more pictures! 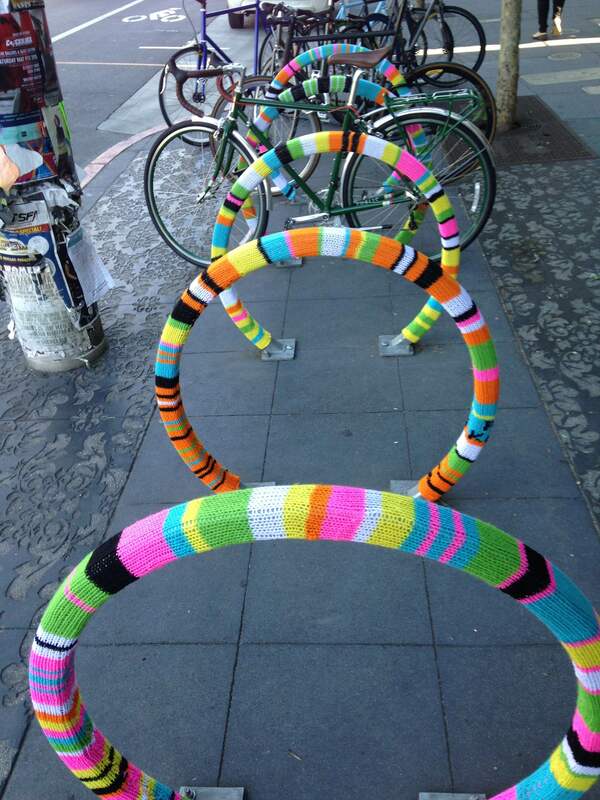 If you want to see more of my yarn bombing, check out this post for some of my greatest hits! Wish I could see it in person! Awesome! Did you seam it, or attach it in some other way?